Thanksgiving is going to be a little extra special at our house this year. For the first time since Claire was born (2006), her birthday falls on Thanksgiving Day. Yes, she was a Thanksgiving baby. That wasn’t the original plan. Her original due date was December 10…but with my history of big babies, my doctor decided to induce me on November 21st. Let’s just say she wouldn’t budge and labor lasted longer than expected. So our little “butterball” (she was 9 pounds, 2 ounces…so much for trying not to deliver a large baby) made her entrance into the world on Thanksgiving morning. Claire has always loved that she was born on Thanksgiving! And it has taken eleven years for it to fall on Thanksgiving again. 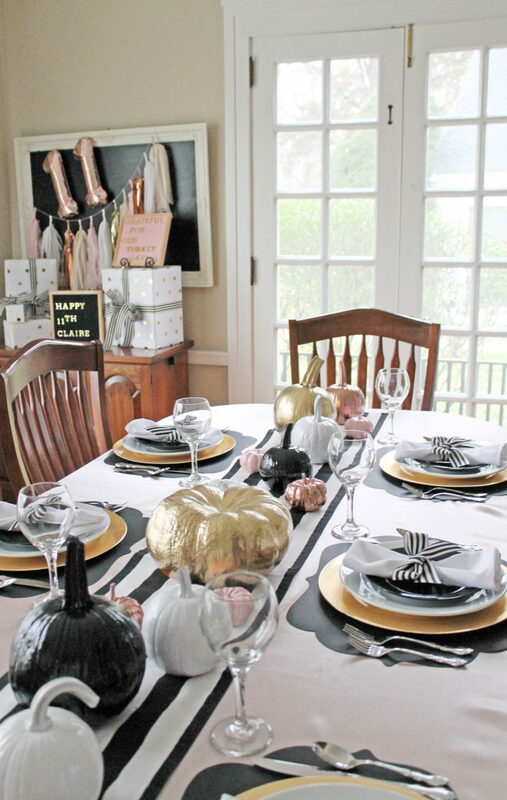 So knowing that we are celebrating a birthday, as well as giving thanks for all we have…I planned elegant, yet somewhat feminine, table decor and place settings for the day. 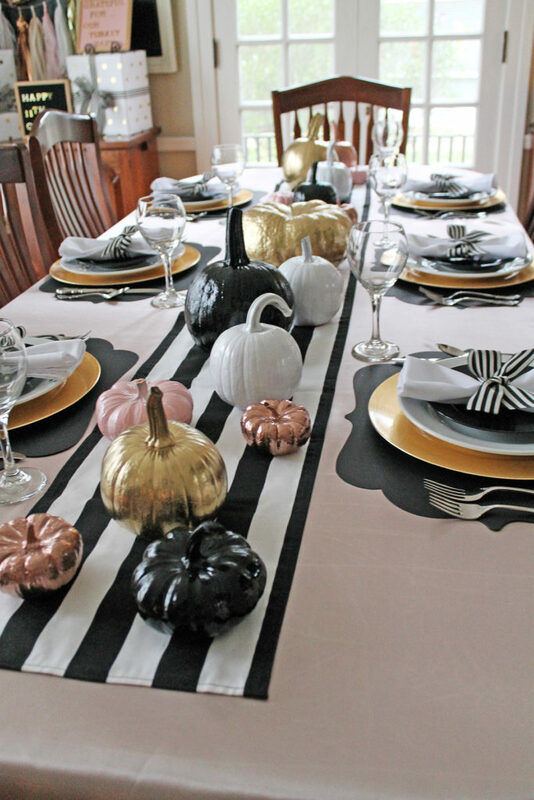 Not at all your typical Thanksgiving table! 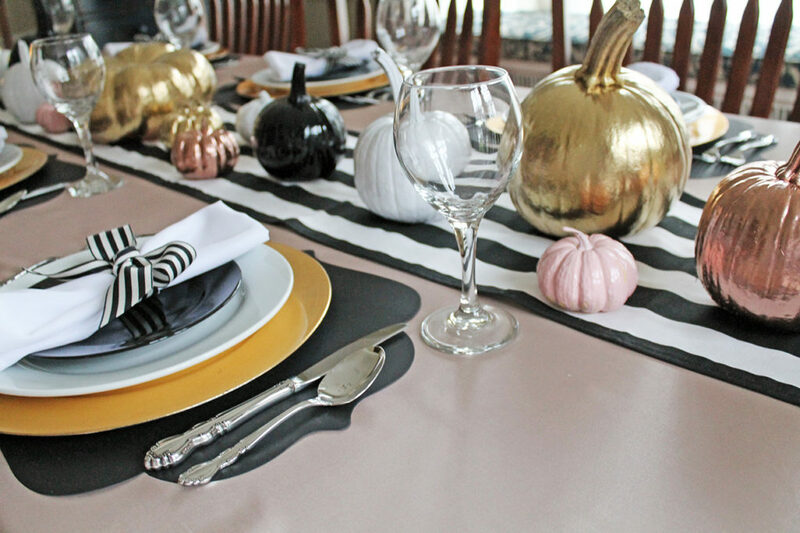 I’m using a blush color tablecloth, along with a black and white striped table runner (both of which I already had in my linen drawer…love when I can re-use and re-purpose). 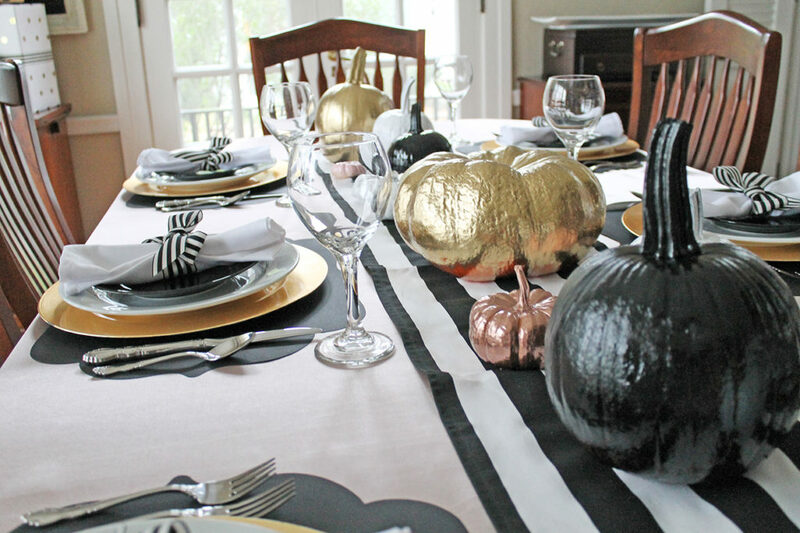 My black chalkboard placemats are perfect for this table decor. 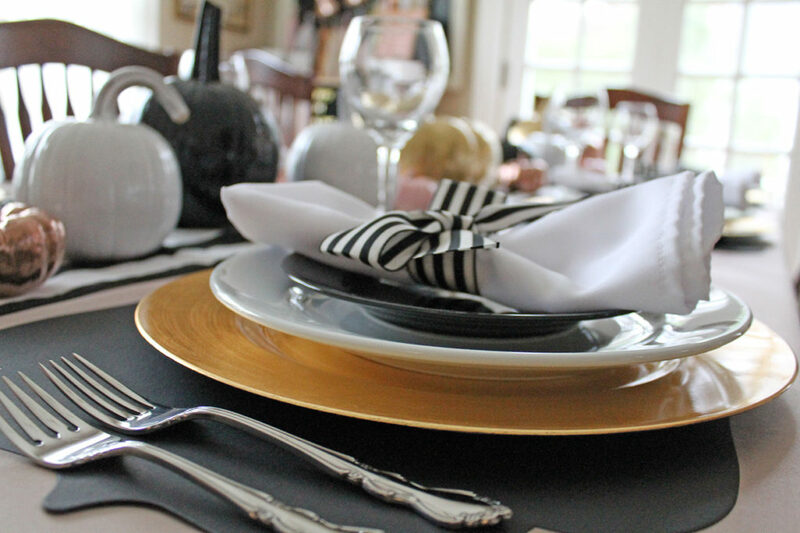 I love the look of “layered” dishes…so I started with a gold charger and then intermixed white and black plates on top. 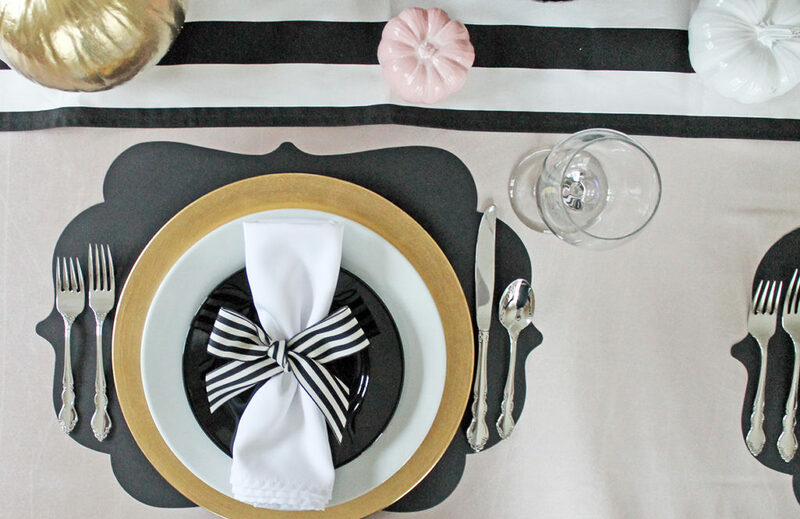 I tied some black and white striped ribbon around the white cotton napkins…love how it looks with the striped runner. 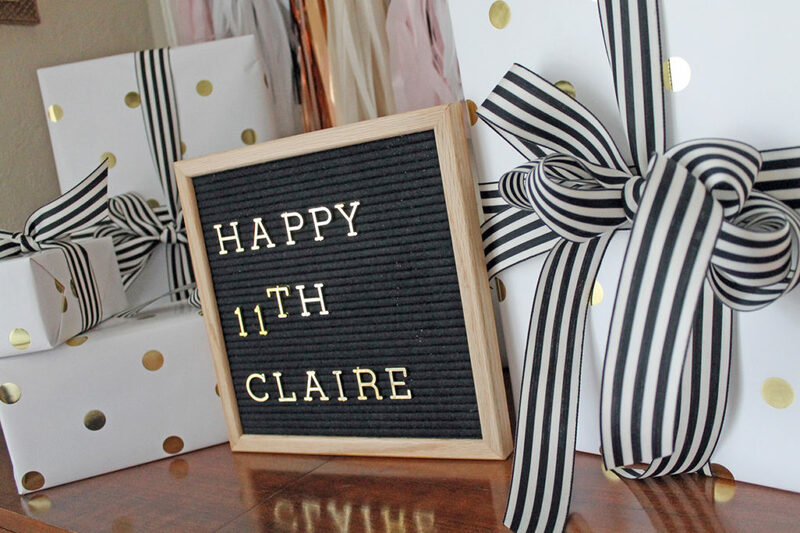 You might also notice that I used the same ribbon on Claire’s birthday gifts (which she has been shaking and smelling, trying to figure out what’s inside them). 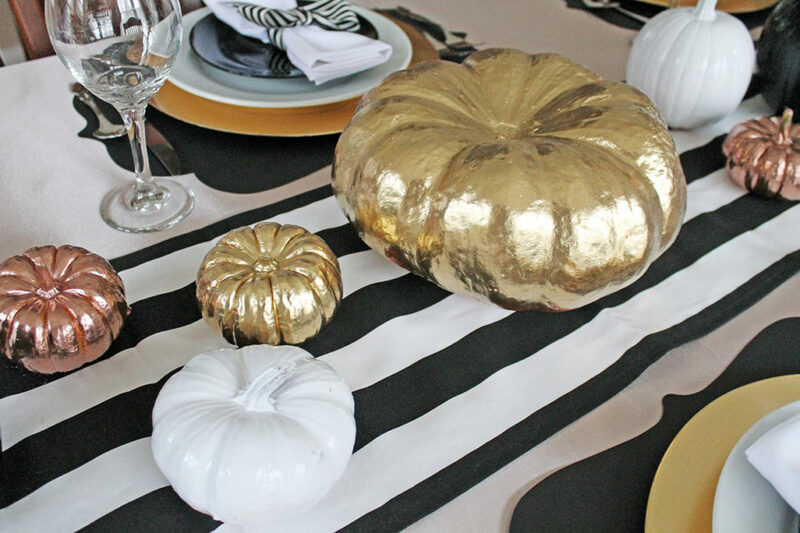 My favorite part of this table is the centerpiece! 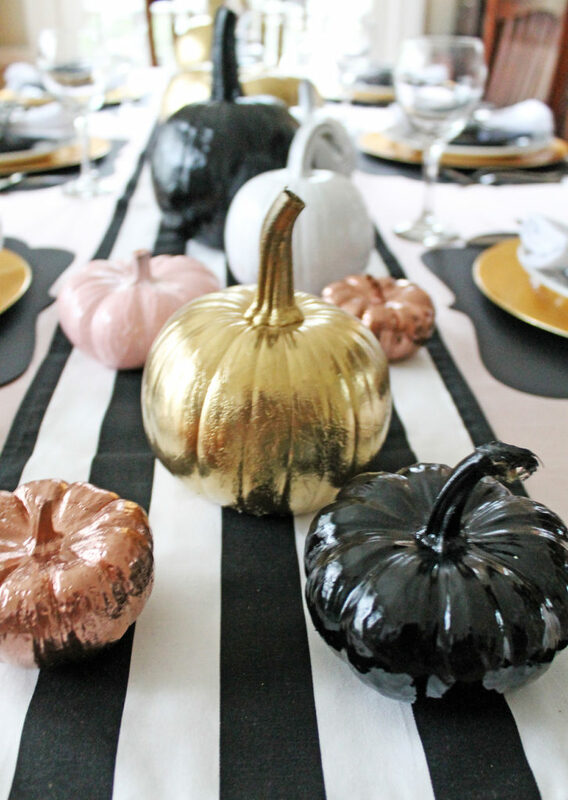 I spray painted some of the pumpkins (once again, I was able to re-purpose) from our fall front porch, using various colors of gold, black, white, light pink, and rose gold. 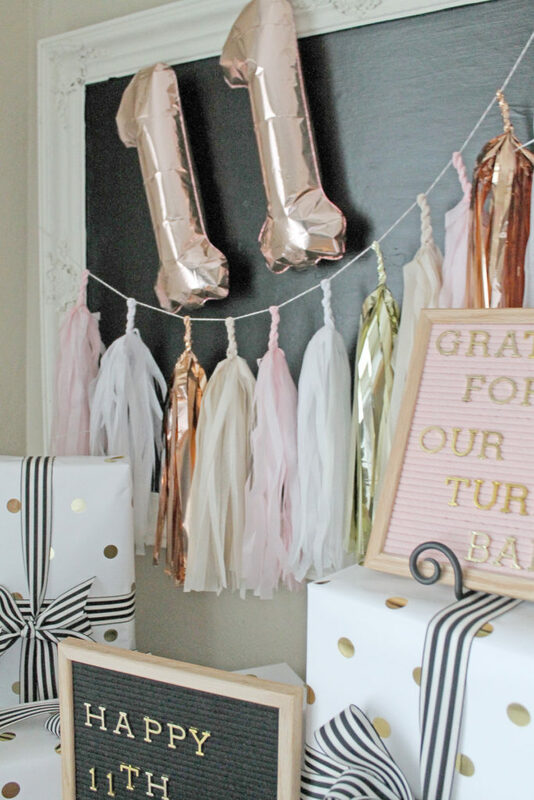 Yes, rose gold…if you remember her recent bedroom redecoration, you’ll understand. I love how they look against the black stripes! 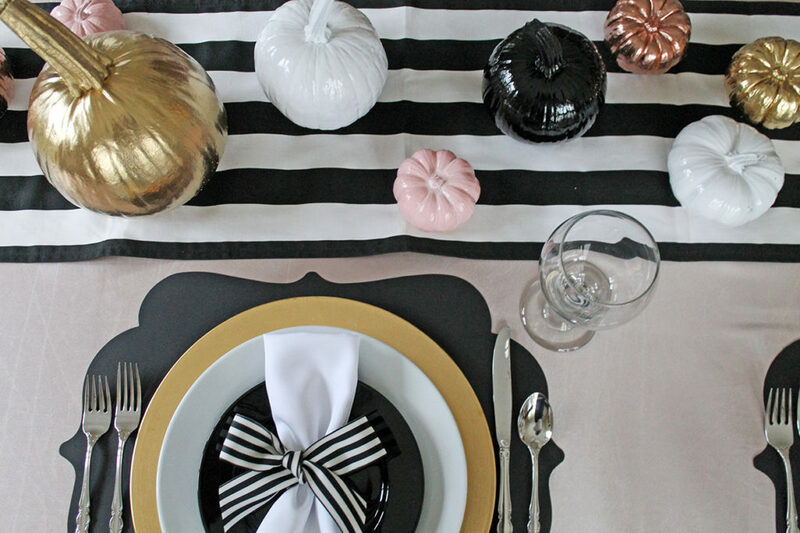 So simple to do, yet a very elegant result. 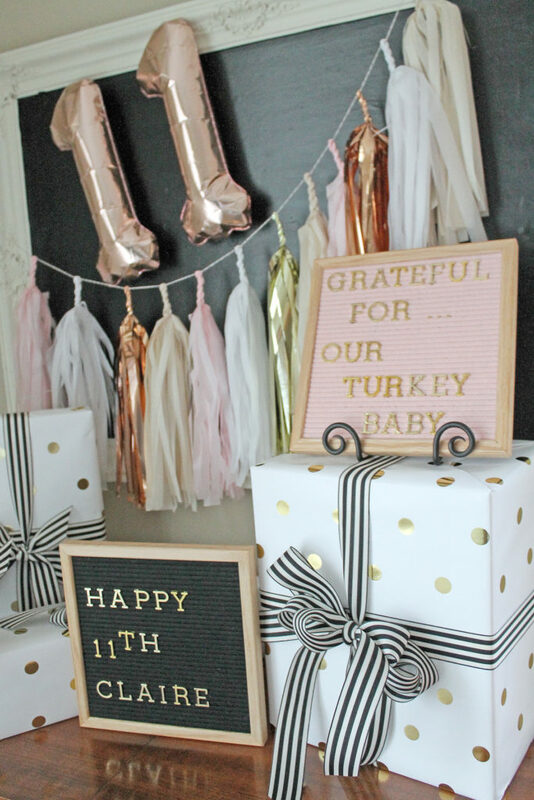 Now all we need is the food…and a birthday cake! Yes, we are so excited to have Val and family back in the neighborhood! Hope to see you soon!! !